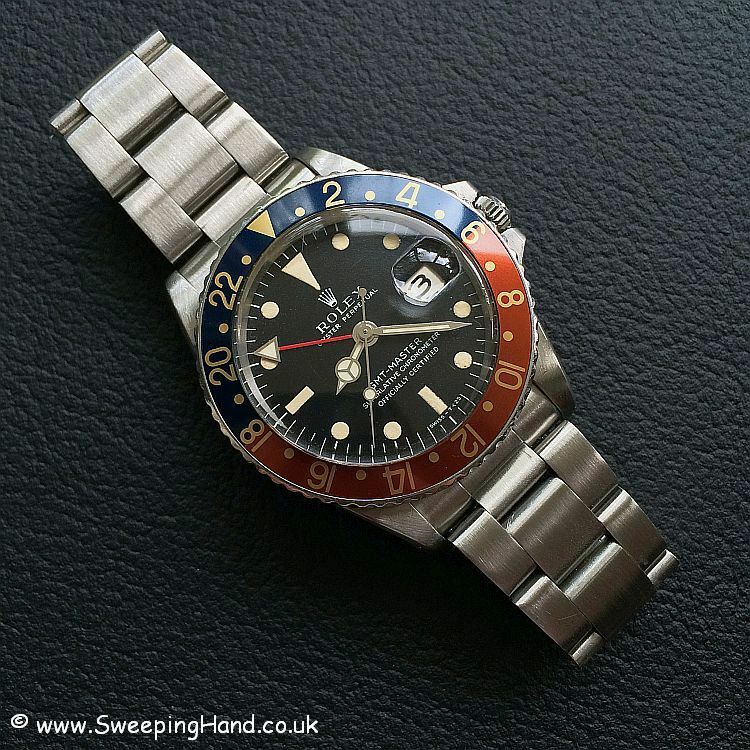 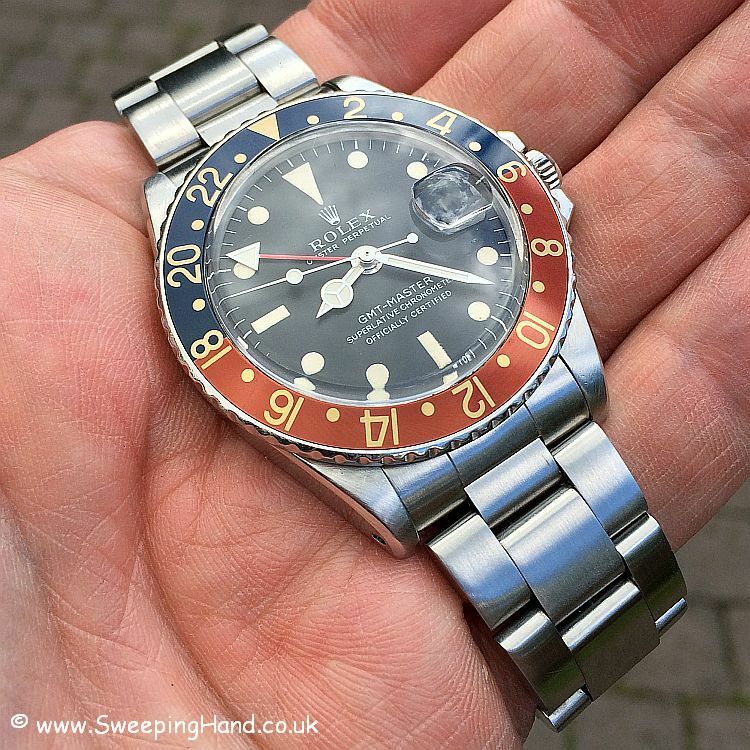 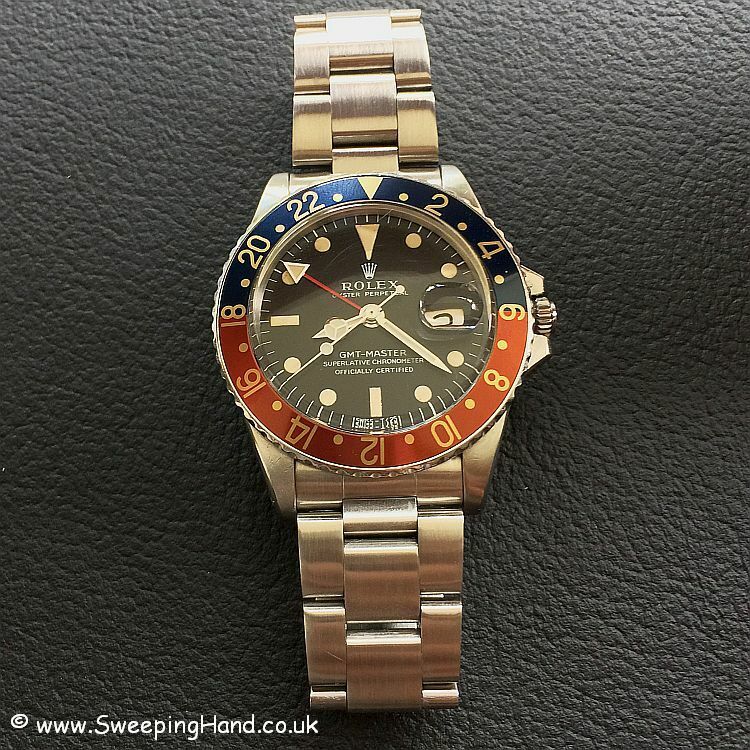 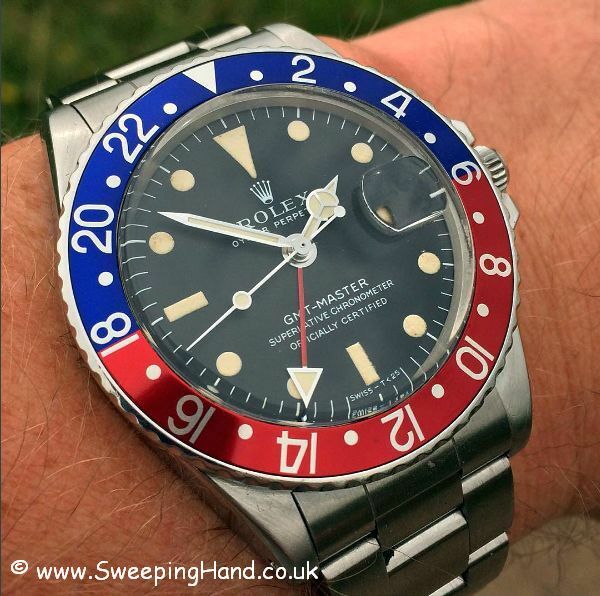 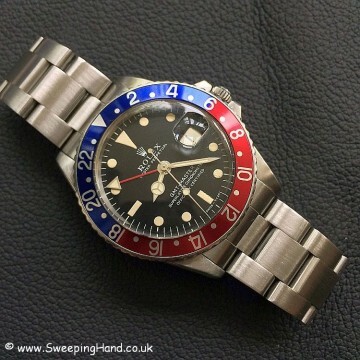 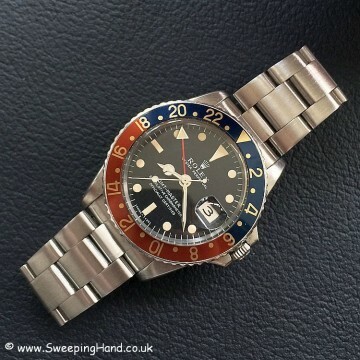 Here we have a beautiful 1969 Rolex GMT Master with the rare early MK1 ‘long E’ matte dial. 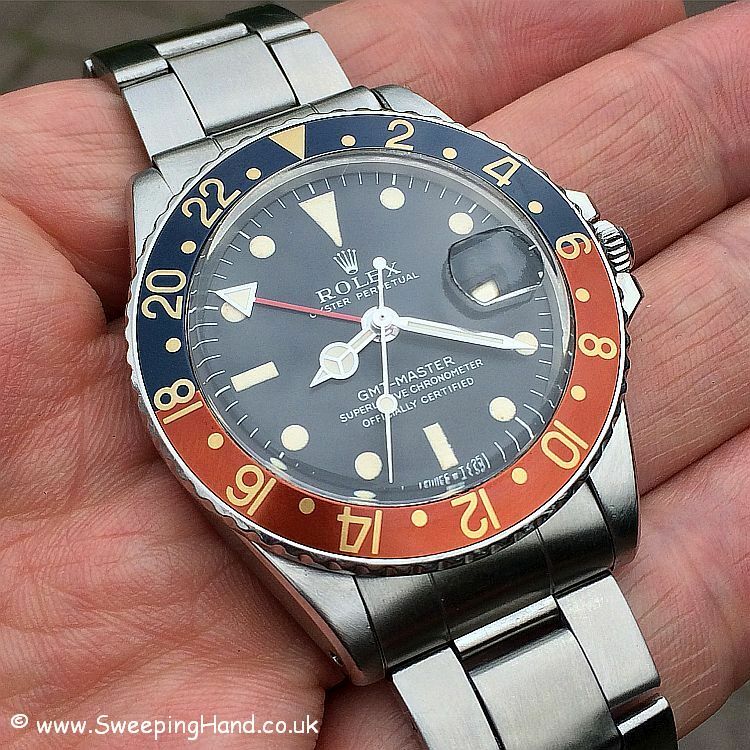 Nice fat case that has obviously had a polish at some time in it’s life but still shows the wide lug bevels from the 60’s. Mint matte dial with no marks or chips at all and with beautiful creamy tritium hour plots and matching tritium cream hands. 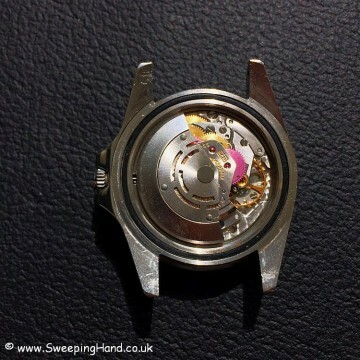 Movement is nice and clean and keeping good time having just been checked over by my watchmaker and has a IV.68 case back. 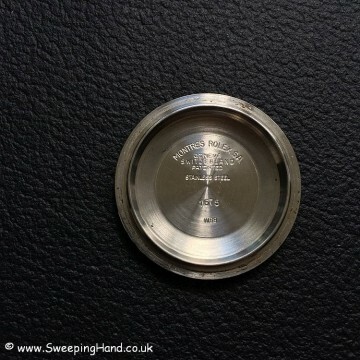 The watch itself dates to 1969 with a 2.04m serial number clear between the lower lugs. Can come with the insert shown or a brand new pepsi one if preferred. 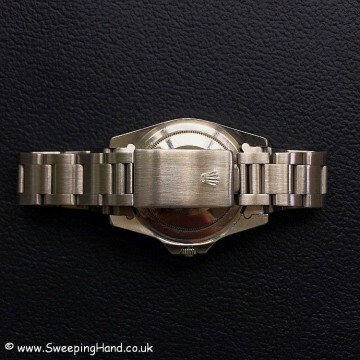 The watch is wearing a later 78360 bracelet in very wearable condition with only the slightest of stretch. Will be delivered in a Rolex suede carry pouch. 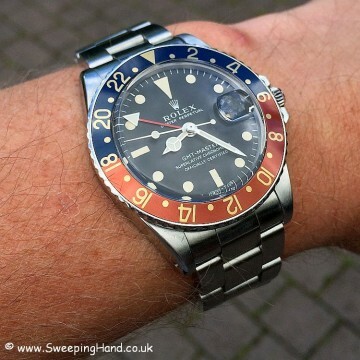 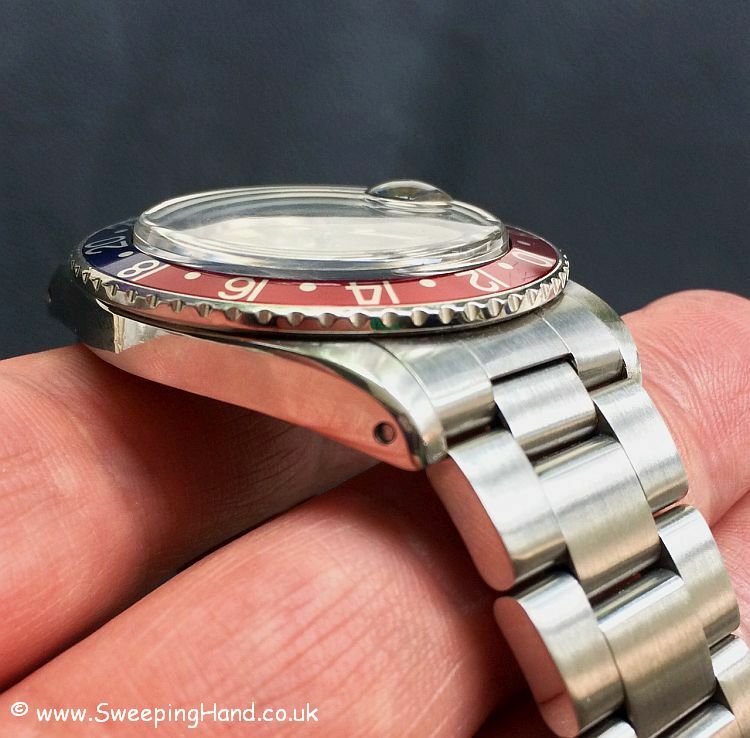 Overall a really lovely vintage GMT with great mk1 dial, hands and case.